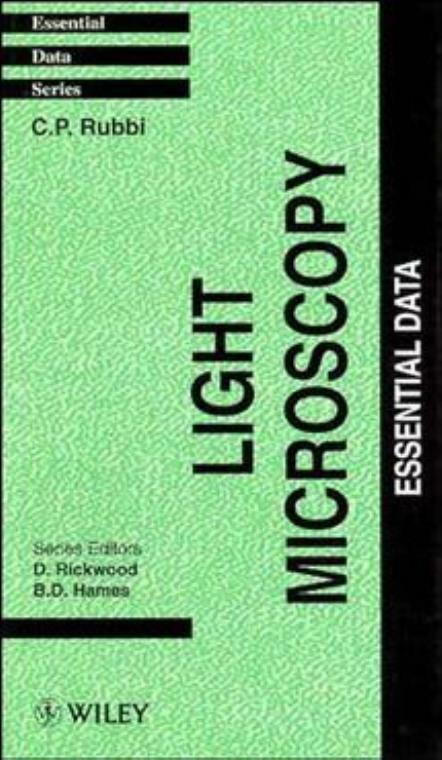 Contains all the key experimental facts regarding both the equipment and specimen preparation aspects of light microscopy that a researcher needs. Basic Aspects of Light Microscopy. Filters and Mirrors for Microscopy. Specific Delivery of Stains: Immunohistochemistry and Immunofluorescence. DNA Probes for in situ Hybridization. Anti–Fading Agents and Specimen Mounting. Suppliers of Equipment and Chemicals.